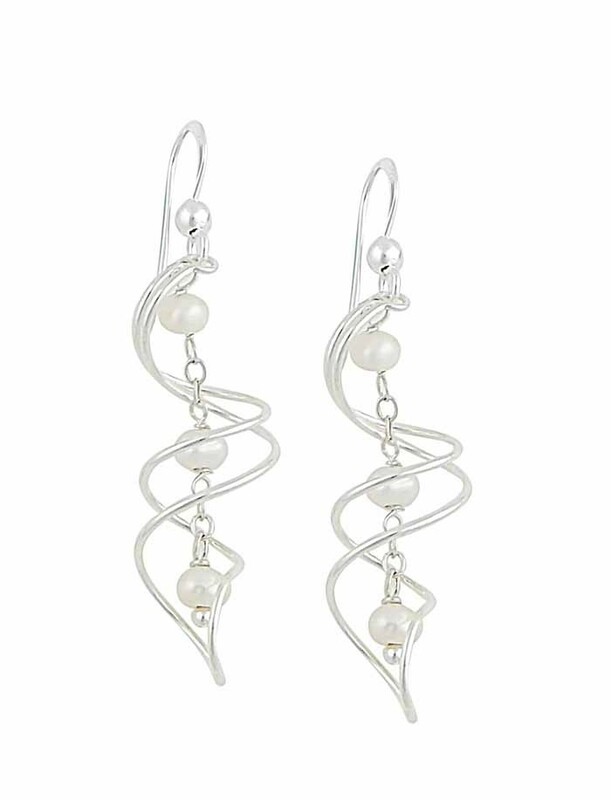 Curling elegantly down from the lobe, these polished silver drop earrings are sure to delight any important woman in your life. 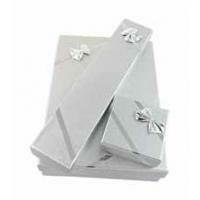 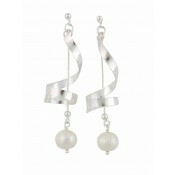 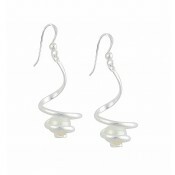 Each one features a twirling silver bar that has been offset with small Freshwater pearl accents. 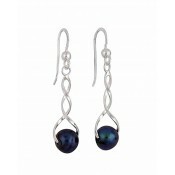 Possessing a timeless charm, you're sure to adore these earrings from the first wear.